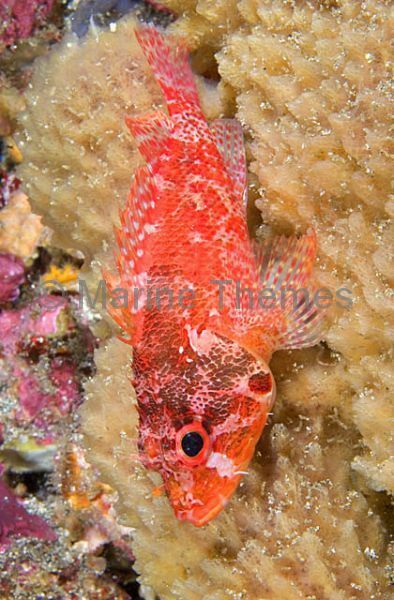 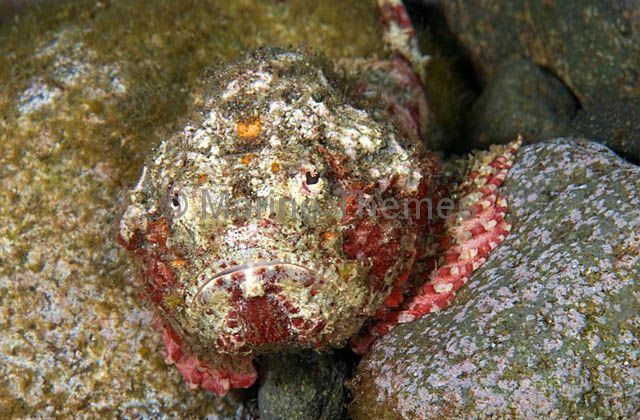 Cheekspot Scorpionfish (Scorpaenodes littoralis) resting on sponge. 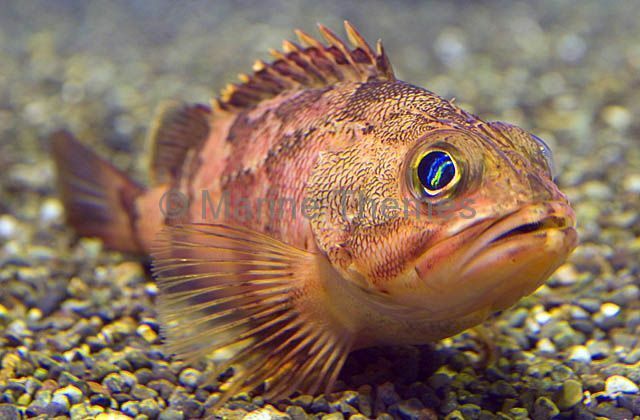 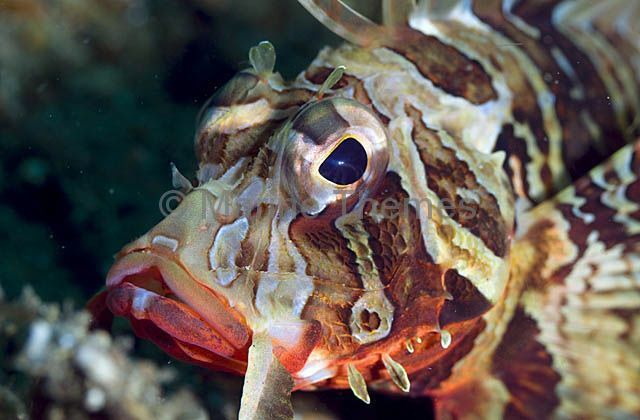 Blackfoot Firefish (Parapterois heterura) portrait. 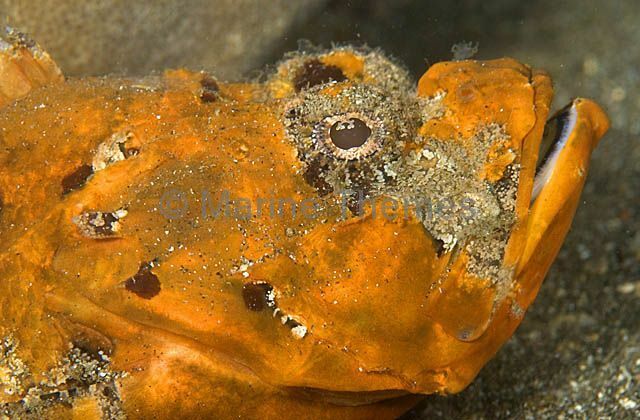 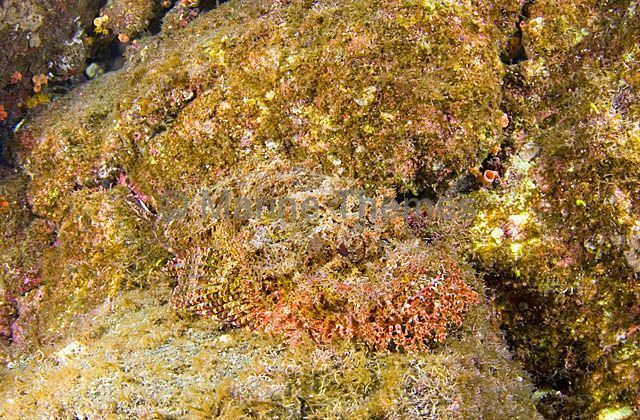 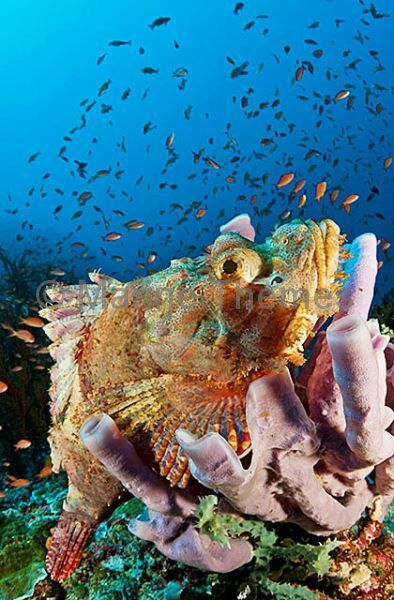 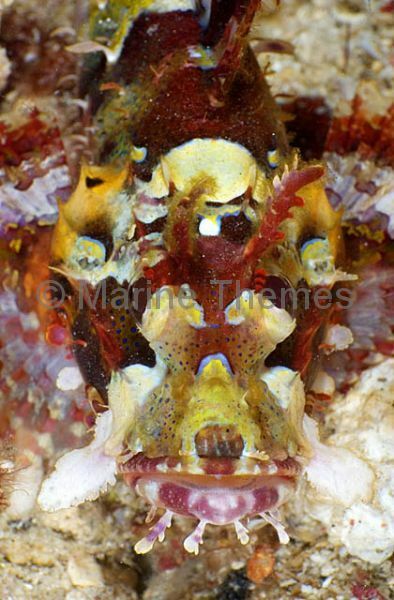 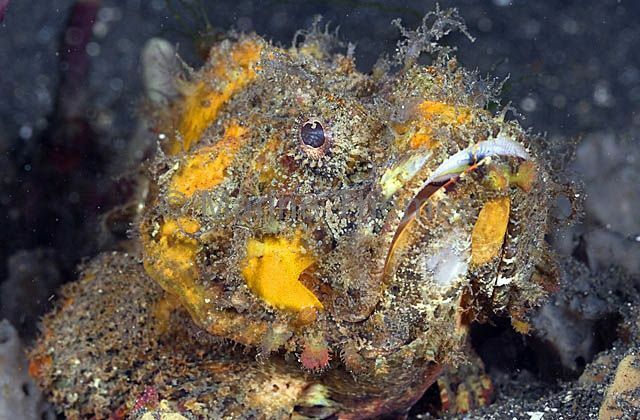 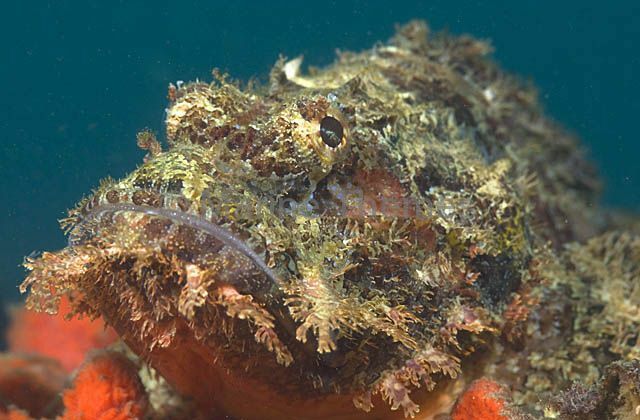 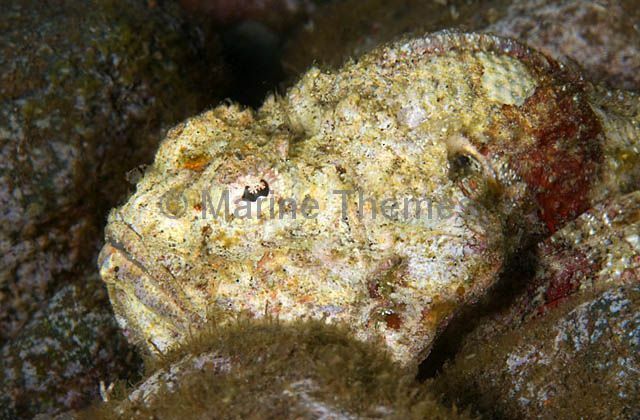 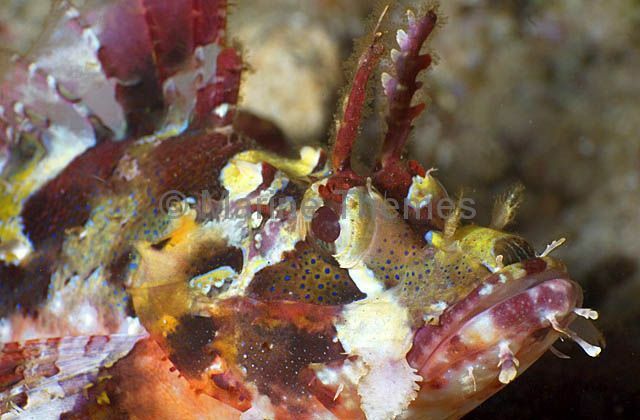 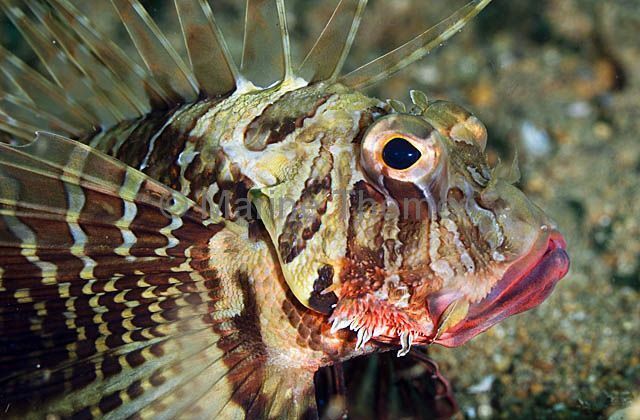 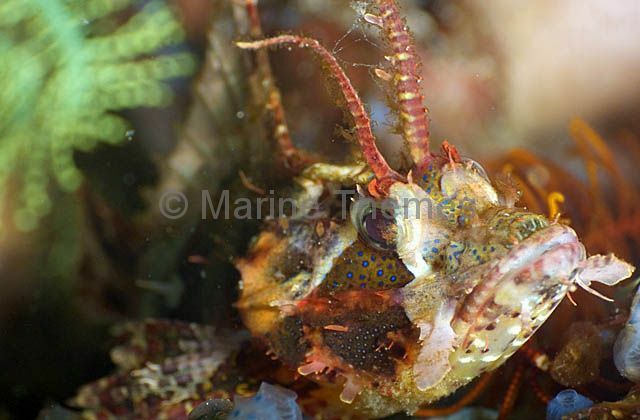 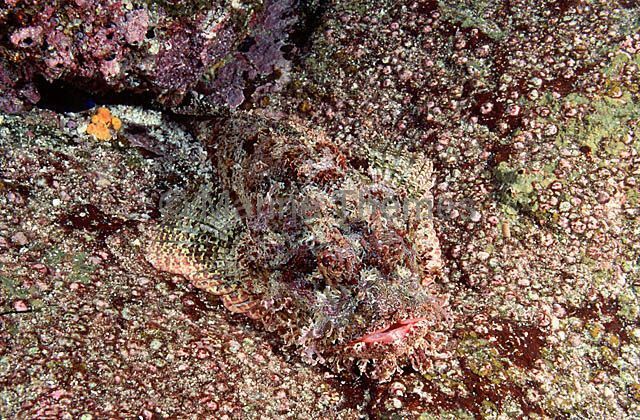 Flasher Scorpionfish (Scorpaenopsis macrochir) camouflaged among similar shaped stoney reef.